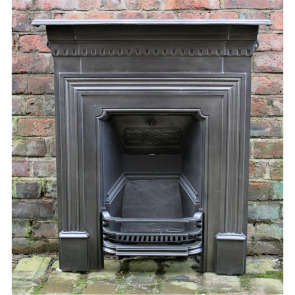 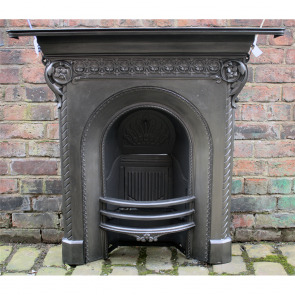 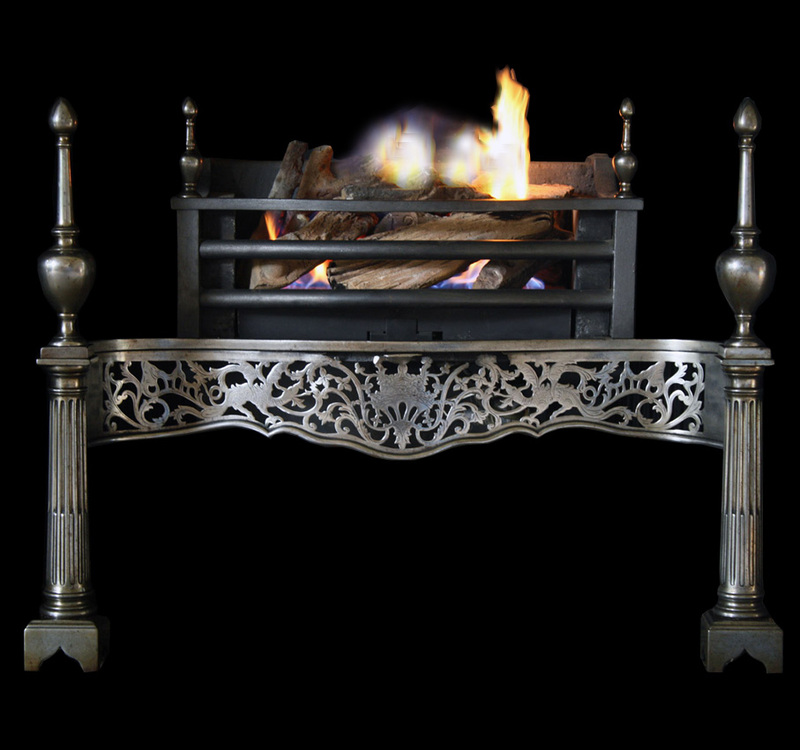 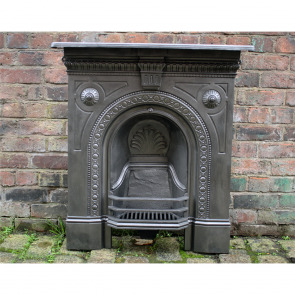 All of our antique combination fireplaces (also known as all in ones) are suitable for solid fuel fires. 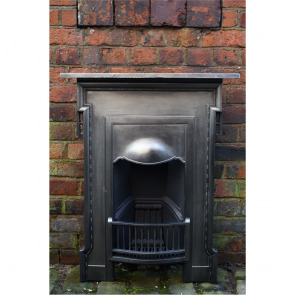 Alternatively, we can supply living flame gas fires, electric fires or bioethanol fires all of which can be made to measure, please contact us for a price. 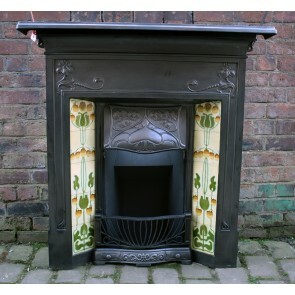 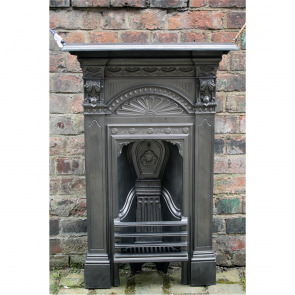 Antique combination grates also known as “all in one” fireplaces were very popular in the Edwardian and particularly the Victorian times. 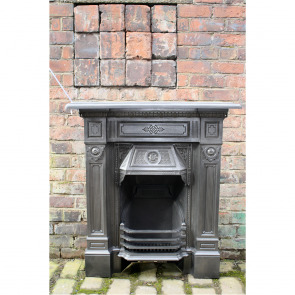 The Victorian middle class and aristocracy had huge houses that required a lot of heating, so it was not uncommon to have one in almost every room. 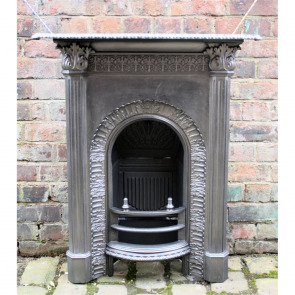 The Victorians also loved their luxuries; fireplaces were not only used for functional purposes but to show off the grandeur of their homes and size of wealth. 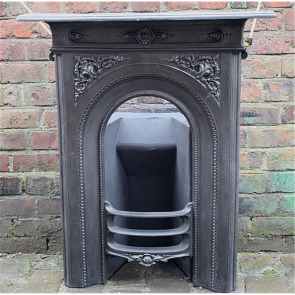 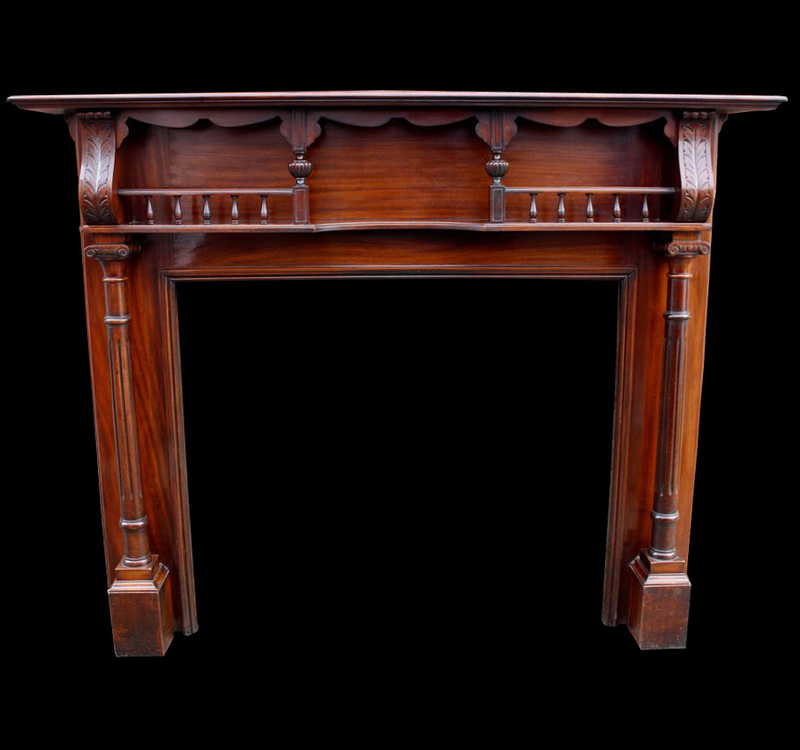 Original combination fireplaces became popular in these times for two main reasons, one was they were fairly easy to produce and fit as they were all one item unlike other fireplaces that could consist of many items such as an insert, surround and tiles. 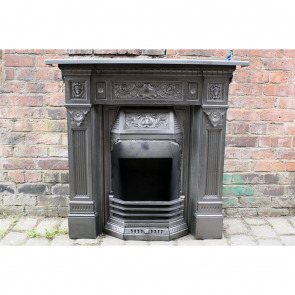 The other reason was that these fireplaces generally took up less room and as the Victorians liked to have fireplaces in many rooms they fit nicely into bedrooms without becoming too obstructive. 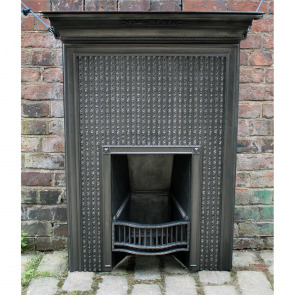 Our large selection of original combination grates have been sourced from all over the United Kingdom. 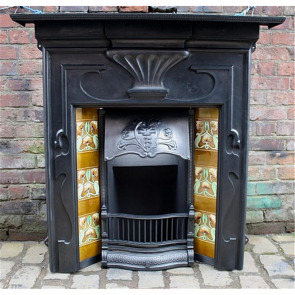 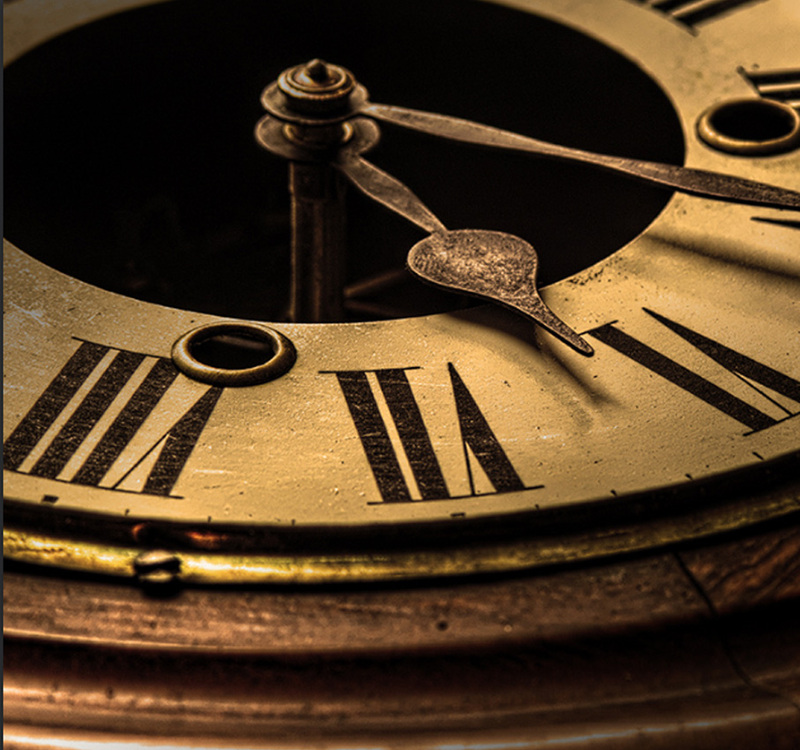 Whether you have an Edwardian or Victorian house or would just like to have a piece of history as the focal point of your room you can be sure to find something that will suit your taste. 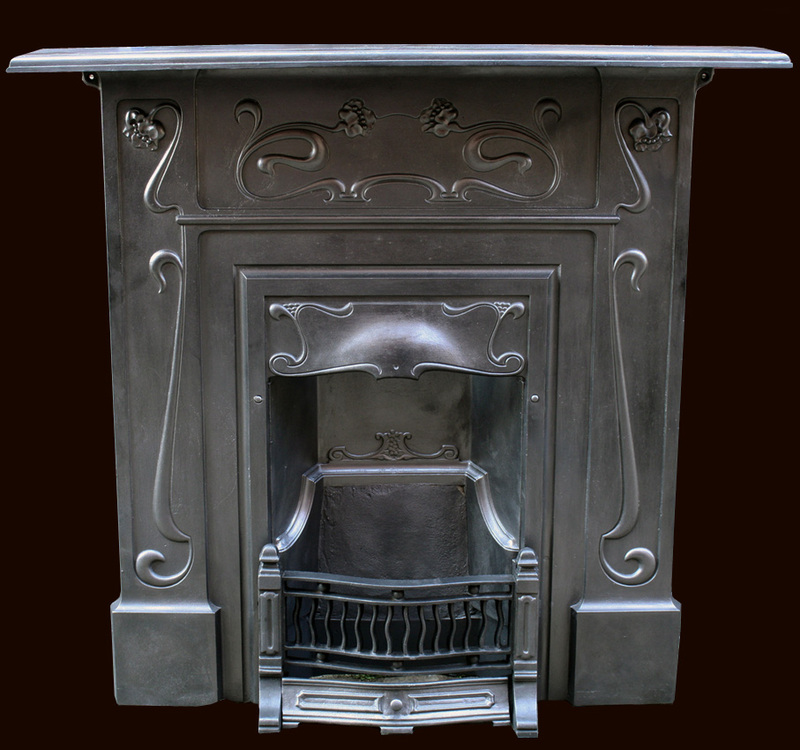 Our experienced fireplace renovation experts have many years of experience restoring these original fireplaces and the uttermost care is put into their renovation. 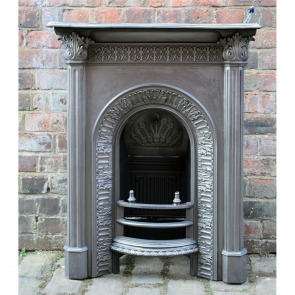 Before visiting our showroom please telephone beforehand if you want to view a particular fireplace as not every fireplace is on display.